We often get the question, "how does LGEF work together with our Home & School Club"? 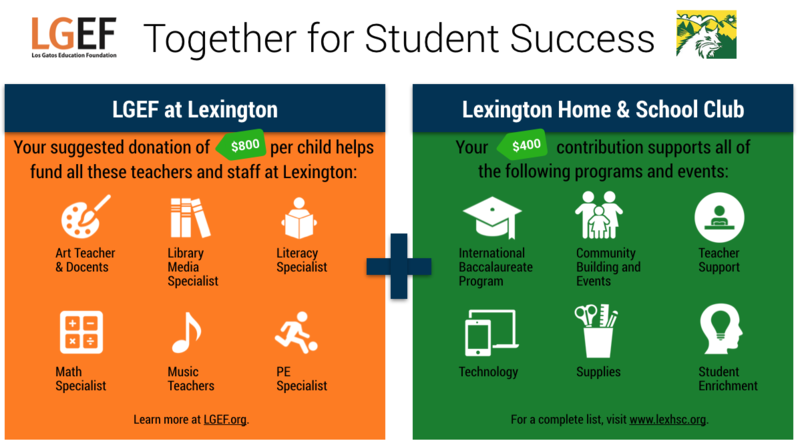 The answer is straightforward: starting this year LGEF has assumed funding responsibility for all supplemental teachers and staff, while our Lexington Home & School Club supports all other programs and events. Both organizations are essential to providing the support our teachers and schools need for student success. To find out about the incredible teachers and staff at Lexington who receive LGEF funding click here. To find out more about the fantastic programs and events delivered by Lexington Home & School Club click here. To fund our expanded role LGEF has increased the grant to our schools by 54% compared to last year. In addition LGEF is raising the suggested donation to $800 per child - the first increase in 14 years. If you want to see how the LGEF ask compares to other, similar districts click here.